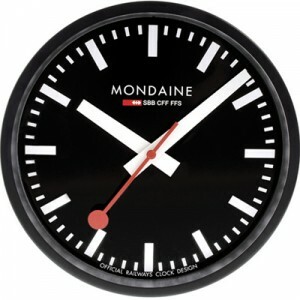 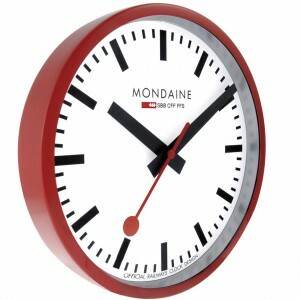 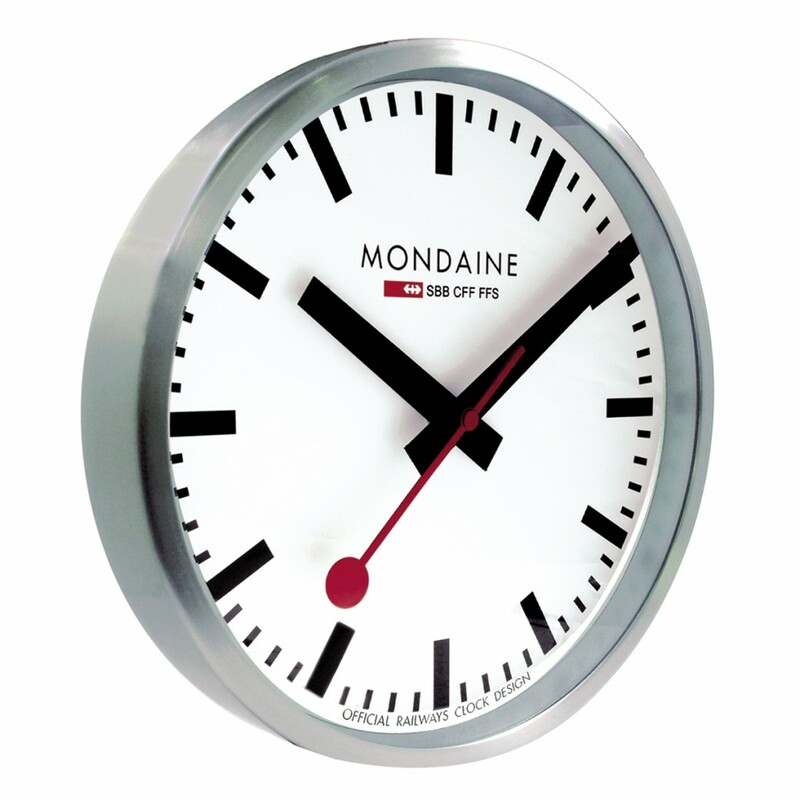 The Mondaine Swiss Railway clock collection embodies executive presence and superior design. 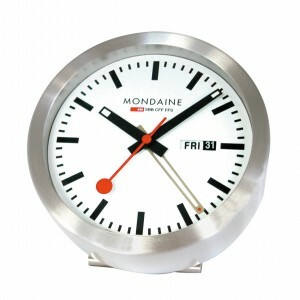 These distinctive time pieces for the wall, the pocket, the nightstand or desktop are useful and attractive items of lasting value. Like the watches, Mondaine clocks have become universally acknowledged as a classic due to its simple design and easy to read unique and legendary face. 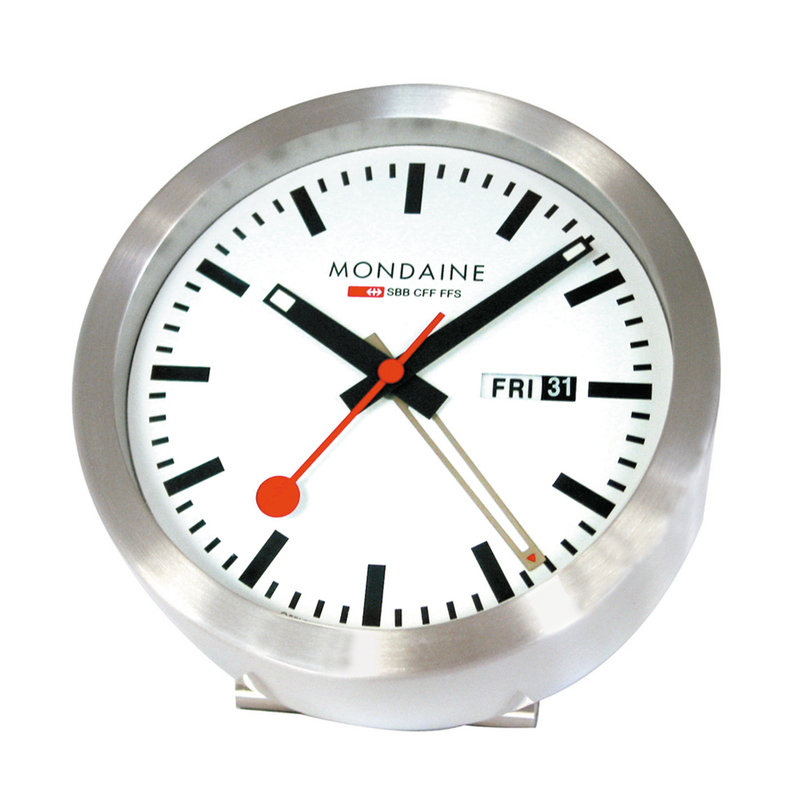 There are several sizes to choose; 40cm large wall clock, 25cm medium wall clock, mini table and wall clock, and the functional bedside alarm clock also in the brands classic colours, black, red and the ever stylish brushed stainless steel.